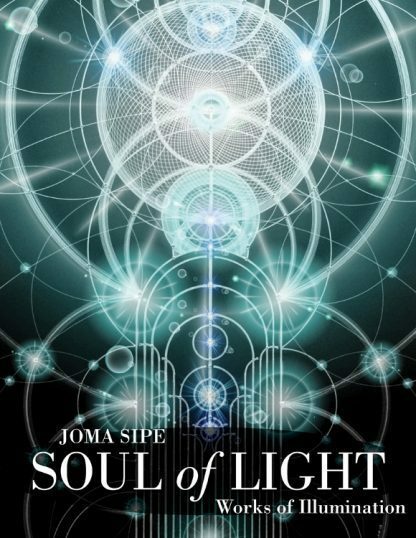 The visionary art of Portuguese artist Joma Sipe is all about light-not the ordinary light of day but the light of spiritual illumination, which brilliantly radiates from the over one hundred, full-color images in this stunning book. Sipe thinks of his work as sacred geometry that unites this temporal world with higher planes. Each painting thrills with the dispersion and concentration of light that seems to emanate from every line. Sipe regards it as springing from the heart of the universal Energy that shines forth in everything that exists. Many works in this volume are also accompanied by his mystical poetry. Since childhood, Sipe has been influenced by painters of the late nineteenth-century Symbolist Movement. He feels profoundly connected with early Theosophist H. P. Blavatsky and believes his works �not only provide an image of the nucleus of the universal brotherhood of humanity, they also mirror the laws of nature and the powers latent in humankind.� Sipe has also studied Rudolf Steiner, Eliphas Levy, G. I. Gurdieff, the contemporary Gnostics, and the spirituality of Hindu teacher Paramahansa Yogananda and Eckart Tolle, who in turn led him to 'A Course in Miracles'. His knowledge of occult anatomy and the chakras, meditation, alchemy, and the Kabbalah contributes to the wealth of esoteric wisdom he brings to bear in his art. All helps him reflect on canvas his powerful sense of the sacred that seems to illuminate the very being of the viewer as well as of the artist and his visionary world. Joma Sipe owns a studio in the City of Vila Nova de Gaia, near Portugal. Early in his career, he painted ordinary motifs as landscapes and facades, using oils and acrylics with exuberant colors. Soon, he realized he could use his paintings to express his inner spiritual feelings and promptly began to do so. At the age of 17, Joma saw an advertisement in the local newspaper advertizing "Meditation and Concentration Courses," and upon arriving found himself at a mystical school called "The Gnostic Movement." He stayed there for some time, learning deeper occult and esoteric knowledge about every mystical aspect of all the world's religions and philosophies. These teachings and experiences would become the basis of all his art. Joma's painting process starts with a simple blank canvas, where he sits and waits for inspiration. Once this happens, he begins drawing lines with gold and silver ink, using Sacred Geometry to create his designs. He then uses intuition and his own inner vision to locate and enhance energy points throughout the painting. In each work, there exists a dispersion and concentration of light that emanates from each line. The principle goal in each painting is to transmit an inner spiritual image or sacred feeling through these lines and energy points.